A SmartD90EV patch to fix latest changes of Instagram platform is available at MESSEC. Confirm that the SmartD90EV has V1.5.4 installed. If not, then upgrade the system version up to V1.5.4. Next version V1.5.6 will include this patch and will be available soon. We apologize for any inconveniences this matter may cause. Posted in Announcement, EN, EN, EN, MESSEC, SmartPhotoPrinter on August 28, 2018 by Mitsubishi Electric Europe B.V. Printers Group. 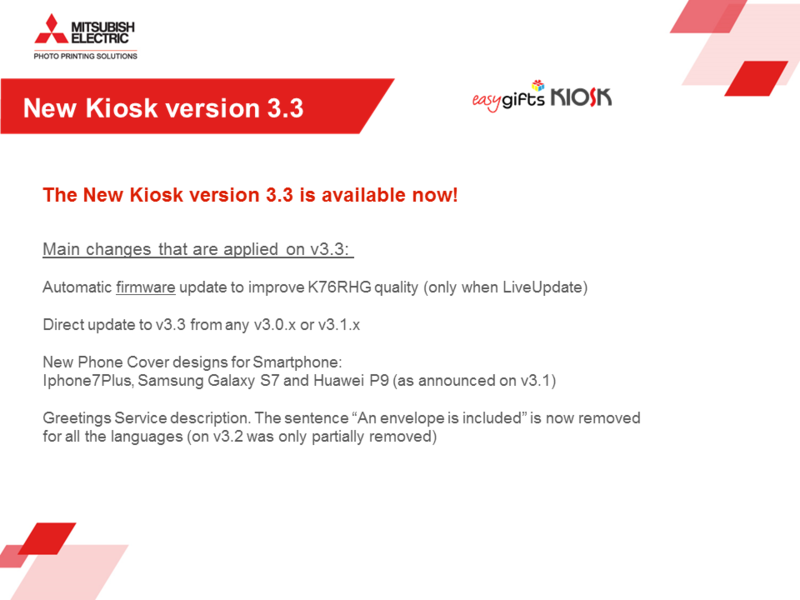 The New Kiosk version 3.3 is available now ! 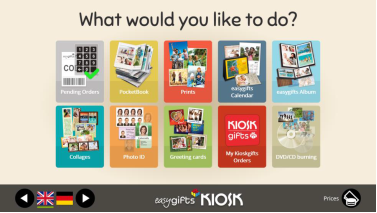 Posted in Announcement, EN, EN, MESSEC and tagged KioskGifts V3.3 on May 25, 2017 by Mitsubishi Electric Europe B.V. Printers Group. 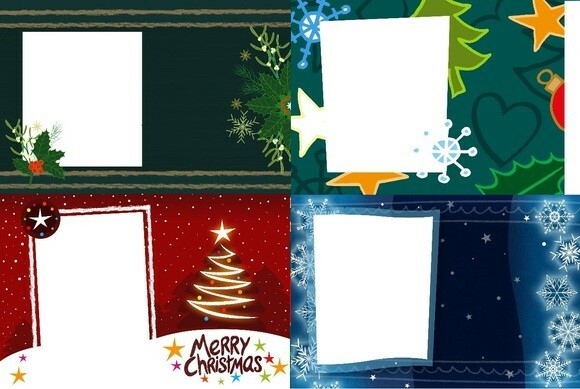 Please be informed that we have New Decorations for Christmas Greetings, Double Sided and One Side, with differents sizes and formats! You can find the installators at Messec and also at our Website. If someone needs more information don’t hesitate to contact us. Posted in Announcement, EN, EN, MESSEC on December 16, 2016 by Mitsubishi Electric Europe B.V. Printers Group.